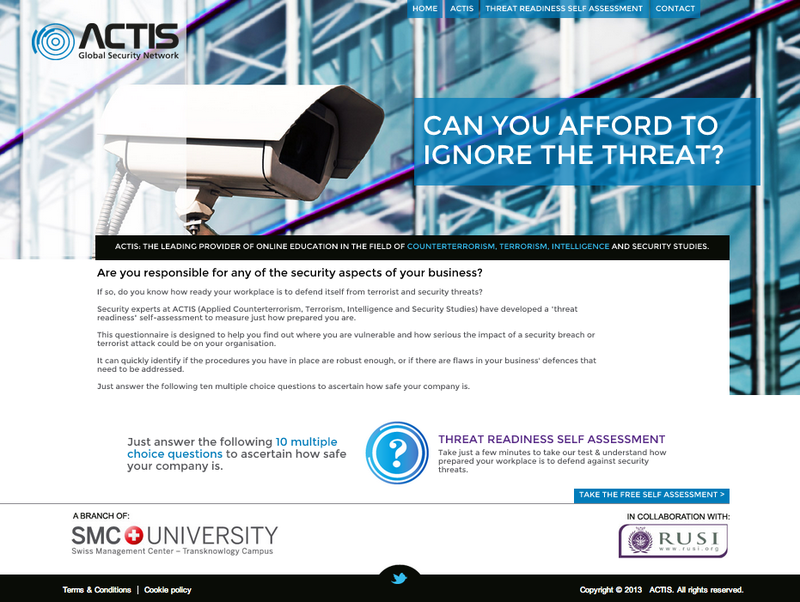 Ultimate has launched a microsite and supporting ‘infographics’ in May of this year for ACTIS, a leading provider of online education in the field of counterterrorism, terrorism, intelligence & security studies. Via a lead from London based Proof Communications, Ultimate secured the project to design and program a ‘survey’ microsite to generate a percentage result based on ten fixed multiple-choice questions. ACTIS provide education, consultancy and research for their clients, so this site acts as a prompt for the areas in which their clients need additional expertise. The user journey needed to be a quick and straightforward process to ensure that the survey is completed in order to avoid drop off rates. It was required that the results section would visually depict the score and give key indicators to the client about what they can do to improve. In addition to the digital project, Ultimate designed two infographics that visually represent failure rates amongst UK businesses to make adequate preparation against terrorism. 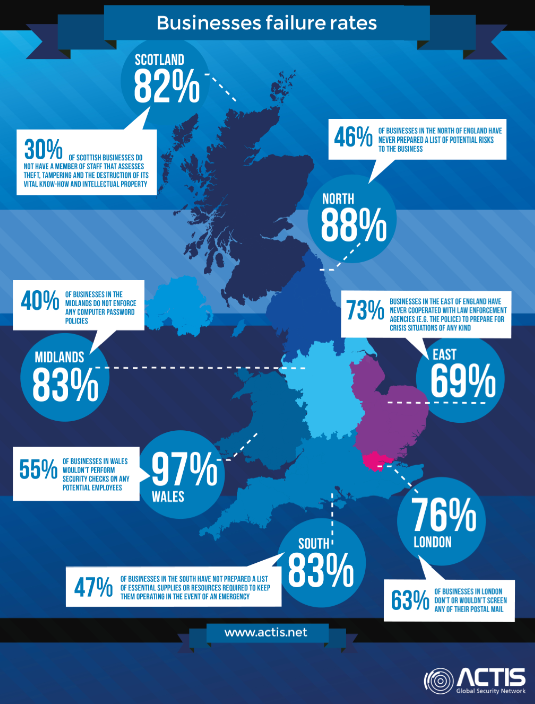 The infographics display the results geographically, as well as breaking them down into business sectors.